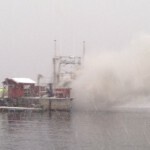 The 14 meter long fishing vessel Bøfjord caught fire near Averøy, Norway. The Bøfjord was headed to Lofoten from Ålesund when the vessel caught fire. The two crew alerted authorities who dispatched a rescue boat to the scene. The rescue boat rescued the two crew of the Bøfjord and took the fishing vessel under tow to Averøy. There the local fire brigade boarded the Bøfjord and brought the fire under control. No reports of injuries. 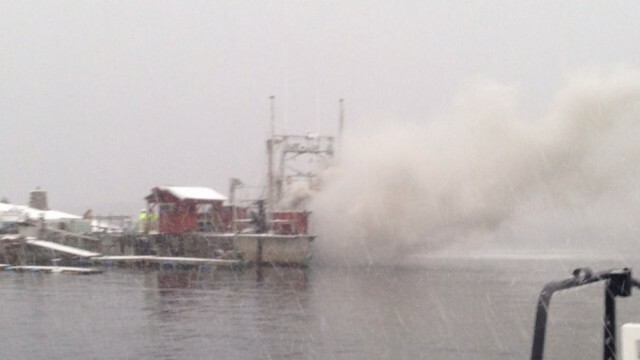 On January 28, the fishing boat Miss Lynn burned and sank off Port Clyde, Maine. 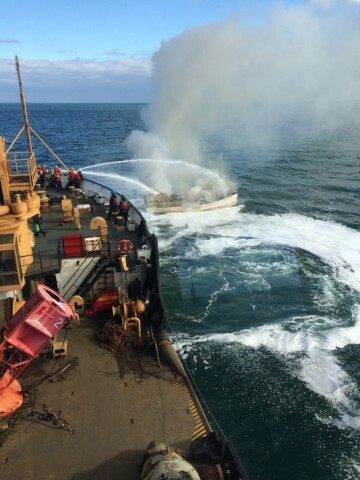 The crew on the Miss Lynn alerted authorities that a fire had broken out in the vessel’s engine room. 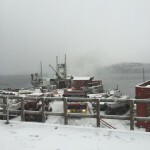 The Coast Guard dispatched a response boat along with the Cutter Willow to the scene. Before authorities arrived, the two crew on board donned survival suits and jumped into the sea to escape the blaze. A nearby fishing vessel Bug Catcha rescued the two crew. No reports of injuries. The Cutter Willow arrived on scene, but was unable to extinguish the blaze on board the Miss Lynn. The Miss Lynn sank a short time later off Cilley Ledge. 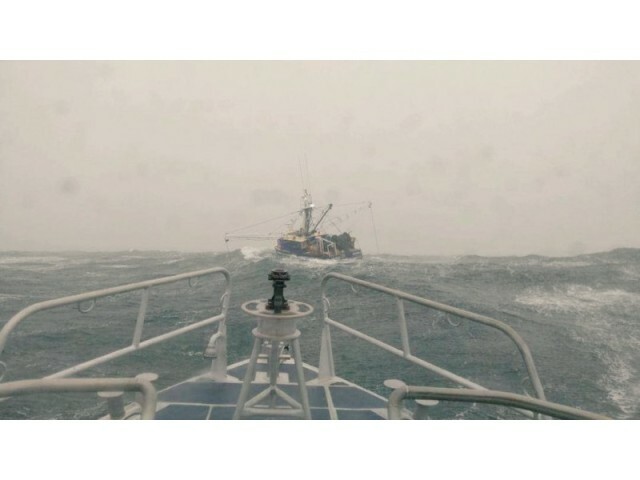 On January 23, the 50 foot long fishing vessel Tamara became disabled off Block Island, Rhode Island. The Tamara requested assistance after its navigation equipment had failed while in strong winter storm with winds reaching 55 knots and 4 meter high waves. The Coast Guard dispatched a response boat, motor lifeboat and helicopter to the scene. The response boat arrived on scene and was able to attach a towline to the Tamara. Both vessels proceeded to Newport and arrived later the same day. No reports of injuries, damage or pollution released.